Adding extra living space to your home not only provides you and family a better standard of living, but also increases the value of your home. If you’ve ever considered adding a room to your house, you’ve also considered the time and costs involved. Using conventional constructions methods can be quite expensive, time consuming, and often require the reconstruction of your home. 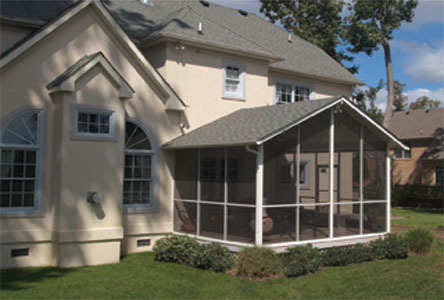 Texas Home and Commercial, Inc. offers a unique enclosure system that can accommodate your needs. 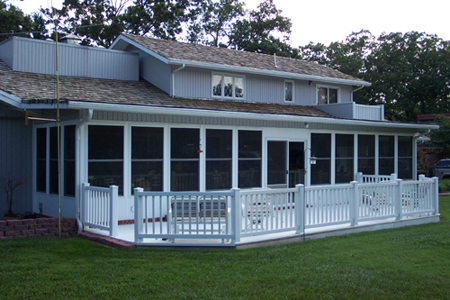 Maybe you want to convert an existing porch or patio into a screen room or glass enclosure. You may wish to add-on a glass room or room addition. Since each and every enclosure we build is “custom-made” the possibilities are endless! Our unique pre-assembled wall units are built one at a time. With the addition of our patented Snap-N-Lock Roof System, you could be enjoying your new enclosure in a couple of days! 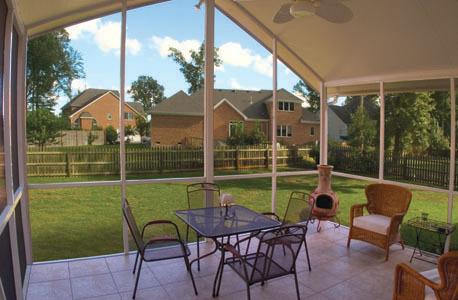 With all the choices available to me, why should I buy a Texas Home and Commercial, Inc. screen room or sun room? Our screen rooms are built with all aluminum materials for unsurpassed strength, and low maintenance. Aluminum extrusion will not rust, allowing you years of hassle-free relaxation in your new screen room. Aluminum extrusion is available in five colors: White, Bronze, Adobe, Sandstone, and Ivory, all of which can be contrasted together to give a range of modern looks. 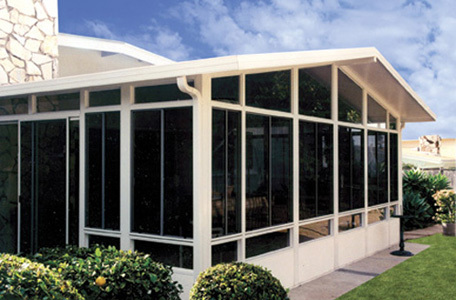 Our screen room systems offer fiberglass screen in a variety of colors and mesh size to control heat and air flow, letting you enjoy the best of the outdoors. Our systems offer the largest assortment of kick plates in the industry. Kick plates can be ordered with standard smooth or cedar embossed aluminum. Customized panels covered in embossed Luran Thermoplastic is another option. Stucco or cedar embossed panels, which are insulated and help regulate the temperature of a screen room, are another option. Ask us about the colors and textures available. Our screen rooms are the safest and best pest deterrent available. Keep the pesky mosquitoes, gnats and flies away from your enjoyment of food, family and foods. With all the choices available to me, why should I buy a Texas Home and Commercial, Inc. enclosure? The tight joint connections of the Snap Wall System and the Snap-N-Lock Roof System are key to the strength and superior building performance found in every enclosure we build. In the 3″ wall system, all windows & doors are recessed in the wall instead of flush mounted and have a complete finished interior trim. All windows & doors are commercial rated and are offered in a wide selection of options to fit your wants and needs. We only use the highest performing energy efficient windows in our glass wall systems providing you more comfort and lower utility bills than our competitors’ rooms. The choices for interior and exterior finishes are numerous. If your choice is aluminum, the panels will be manufactured with our exclusive Tuff-Kote Gold dual-layer paint finish which resists scratching, corrosion, and fading. Our insulated floor system is made with OxTerminator Double OSB panel proven in the most extreme conditions. We offer Poly-Lite insulated skylights. Made specifically for insulated panels, the design of these skylights eliminates condensation, are moisture resistant and maintenance free. They provide exceptional thermal efficiency & weatherproofing.